Ocean Transportation is the most common avenue for international shipping. 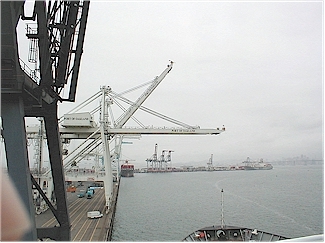 Larger volume shipments are usually via ocean transportation. A large factor contributing to the popularity of ocean transportation is cost. In the international shipping industry, ocean transportation is the most cost effective mode of shipping. Direct FCL / LCL The direct shipment of merchandise to the point of destination in another country utilizing one vessel. The direct method of ocean transportation is available to most high volume shipping locations for both FCL and LCL consignments. This method decreases transit time and increases the cost of the ocean freight. Trans-ship FCL / LCL The shipment of merchandise to the point of destination in another country on more than one vessel. The trans-ship method of transportation is available for both FCL and LCL consignments. This method is more cost effective than the direct method, however takes longer to arrive at final destination. “SWI” Consolidation Consolidation is a term which applies to multiple shipments being loaded into an ocean container. When smaller shipments are combined in one steamship container, the cost of the ocean freight, THC – Terminal Handling Charges (mandatory in every form of ocean transportation) and delivery are dramatically reduced. Southern Winds International has its own Australia, European consolidation service. We also have the ability to consolidate into New Zealand, Hawaii, Alaska, Singapore, and Hong Kong. If price is your main concern, than our in-house consolidation service will be your best choice.